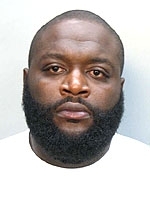 JULY 28--We don't mean to pile on the beleaguered gangster rapper (and former prison guard) Rick Ross, but a Freedom of Information request has turned up additional documents chronicling the performer's penal career. 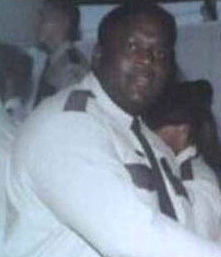 As we previously reported, despite vehement denials from Ross (real name: William Leonard Roberts), Florida Department of Corrections (DoC) records show that the 32-year-old hip-hop star worked as a correctional officer for 18 months, until he resigned his $25,794.34 post in June 1997. In response to a TSG request, DoC officials released Ross's 86-page personnel file, excerpts of which you'll find on the following pages. The documents include Ross's employment application, which notes that he was a 1994 graduate of Miami's Carol City Senior High School and spent a year at Georgia's Albany State College, where he studied Criminal Justice. On a personal history form, he identifies Tommie Ann Roberts as his mother and Tawanda Roberts as his sister. Both women are prominently thanked in the liner notes to Ross's 2008 album "Trilla." Additionally, according to Florida Secretary of State records, Tommie and Tawanda serve as officers of Rick Ross Charities, a not-for-profit whose current address is identical to the one Ross himself provided on his DoC employment records. Other personnel records include a fingerprint card that was used during a criminal background check, and the resulting report showing that Ross was clean. In a supplemental application, Ross agreed to perform a wide range of correctional officer duties, including "shoot an inmate attempting to escape." He also signed a loyalty oath, listed Tawanda as his life insurance beneficiary, and received a certificate marking his completion of 540 hours of training. Submitted by Buttercup427 on Sat, 2011-04-16 22:48. I knew that he was fake as a $3 bill. He got hooked up with P. Diddy and now he's trying to be the reincarnation of Biggie!!!!!! N*gga please. Between you and fake a** Nikki Minaj who is nothing but Lil' Kim warmed over we have no real rappers out here. There will never be another Biggie. And there will definitely never be another 2Pac. Or at least if you copy someone's style be man/woman enough to give them some credit.!!!!!!!!!!!!!!! !